When it comes to home design, people tend to think that the bigger things are, the better they are. Sure enough, it’s always a joy to have large living spaces wherein you can really stretch out. But the reality is that we often can’t have as much space in our homes as we might like. This is particularly true when one turns his or her attention toward spaces like kitchens. 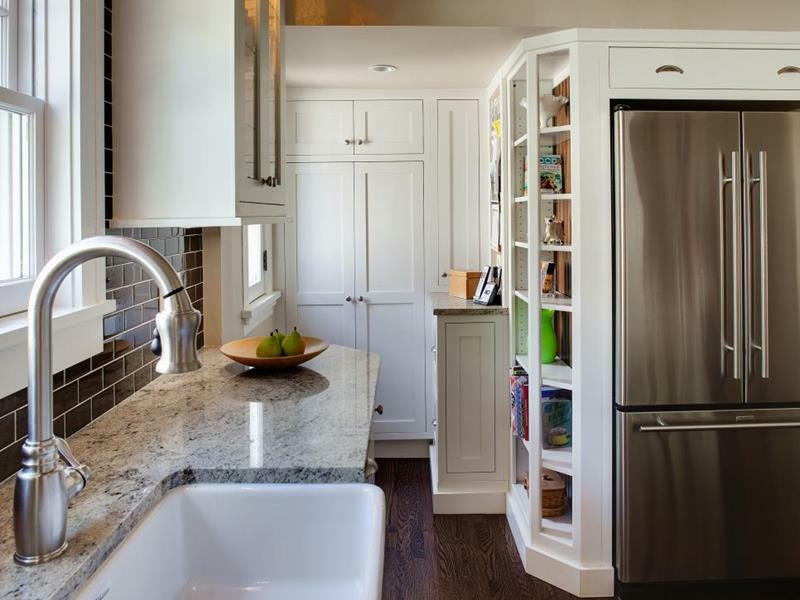 On the list below, we’re going to share 20 absolutely stunning small kitchen designs. Running the gamut in terms of design style, we think you’ll agree that each of these kitchens is absolutely big when it comes to looks! 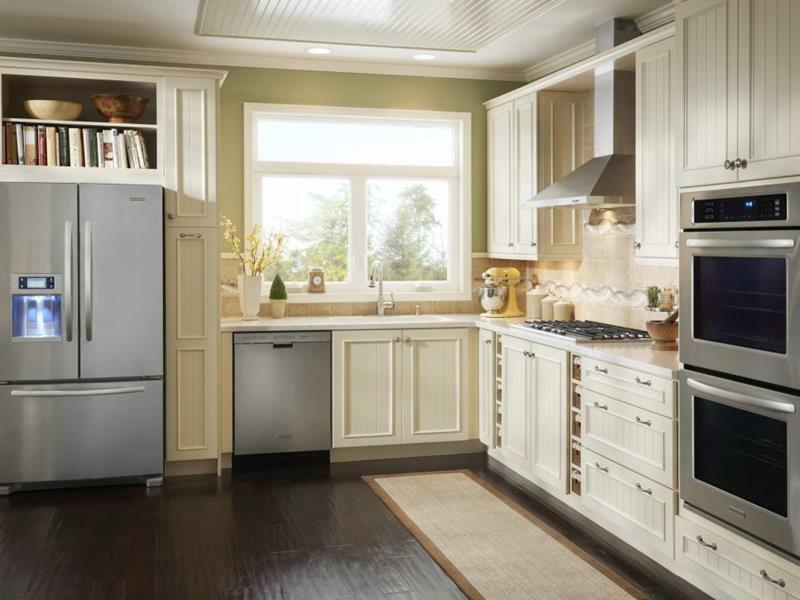 So, if you’ve got a small kitchen that needs a fresh coat of paint, read on. 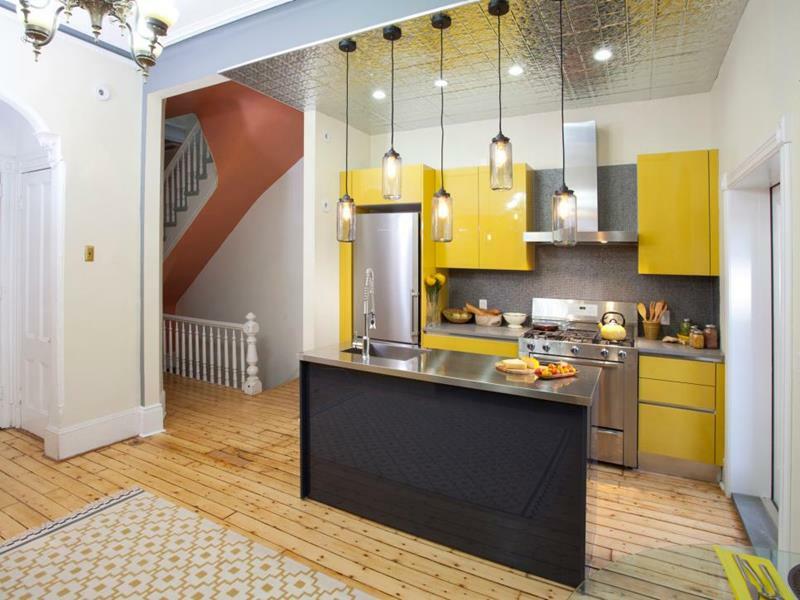 Check out these inspirational and stunning small kitchen designs. When you’ve got limited space to work with in an open-concept home, a simple L-shaped kitchen like this can work wonders. 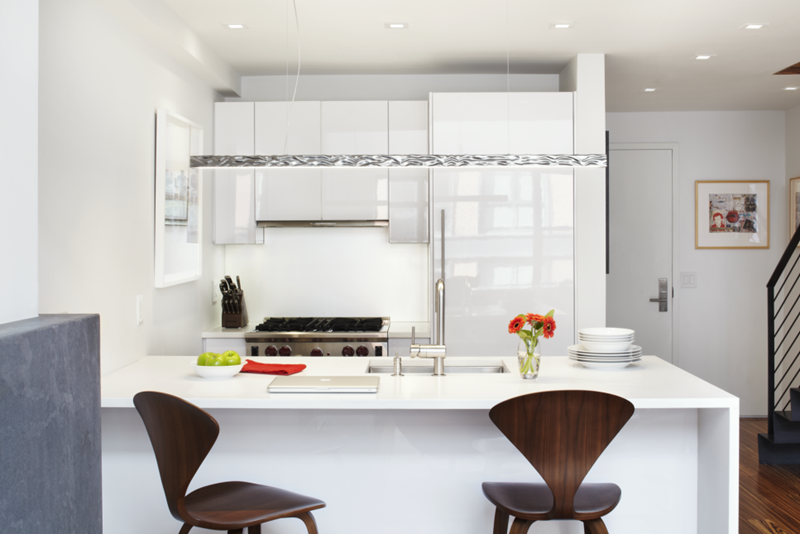 Even though it’s small, you’ve got to love the luxurious feel of this clean and tidy all-white kitchen design. A layout like this within a smaller home can provide you a functional kitchen space that also offers the chance for entertaining. 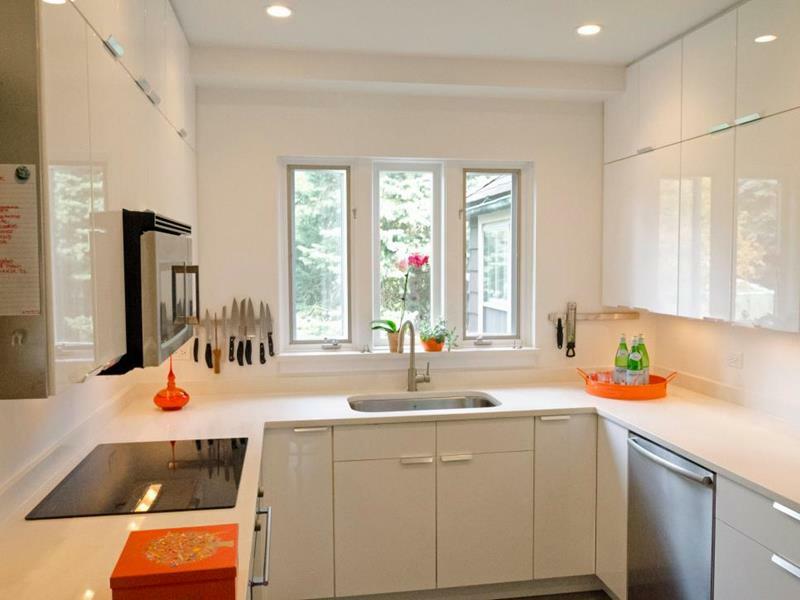 The small exposed shelves next to the kitchen in this small kitchen are such a smart design choice. 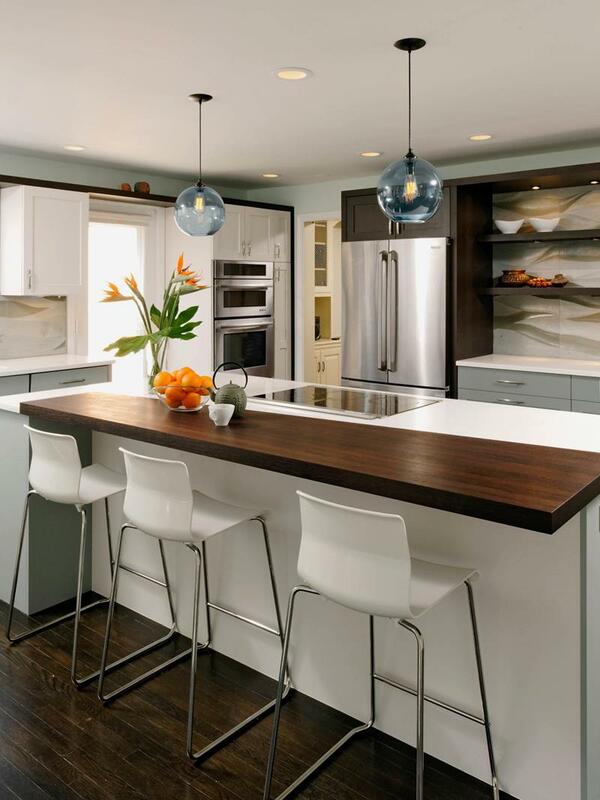 We love the excellent use of rich wood surfaces in this small kitchen; they make the space feel so much grander.